A flood in National City is not on everyone’s minds, but it could happen at any time. Floods don’t have to solely come from nature. Water pipes can break, causing massive flooding and water damage in a matter of hours. If you suspect water damage, or if you have recently been on the receiving end of a flood, call Superior Cleaning and Restoration Inc.
How long does recovering from water damage take? It depends on the total damage. Some water damage can be dried out and remediated the same day. More severe damage can take longer because reconstruction and remodeling might be involved, but we can guarantee that we will be faster than “some guy.” The trained professionals at Superior Cleaning and Restoration Inc. are experienced and prepared to handle any type of water damage out there. How long does it take to restore my property after water damage? The only sure way to know is to call Superior Cleaning and Restoration Inc. Our professionals will be able to give you a free quote and get you started on your road to recovery. Water damage is a stressful thing to deal with. Don’t go it alone, call the professionals at Superior today. How often do floods happen in National City (San Diego)? Thats the thing about floods and flood damage. It is almost impossible to be prepared 100% for flood damage. There are many bizarre circumstances that could cause flood damage to occur. They can happen anywhere, at anytime. 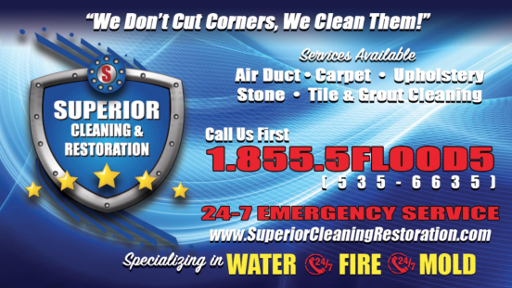 Call Superior Cleaning and Restoration Inc. if you have been the victim of the horrible floods tearing up the countryside, we promise to put an end to their terrible, damaging ways. Don’t go it alone, call the professional cleaning specialists at Superior Cleaning and Restoration Inc. to get your water or flood damage taken care of properly. Our professionals are here 24/7 for your emergency service needs. We pride ourselves on our work and we will leave your property in a superior state.